Swargavathil Ekadasi is observed on the Ekadashi falling during the waxing phase of moon in Dhanu Masam in Kerala. Swargavathil Ekadasi 2020 date is January 6. Swarga Vathil means the doors of heaven and on this day the Vaikunta Dwaram or the innermost doors of the Sanctum Sanctorum of certain Vishnu are opened to devotees. The day is of great importance at Thrissur Thiruvambadi Temple, Nelluvaya Dhanvantri Temple and Kottayam Thirunakkara Sri Krishna Temple. Fasting is observed on the day by Vishnu devotees. Some devotees do not sleep on the day. 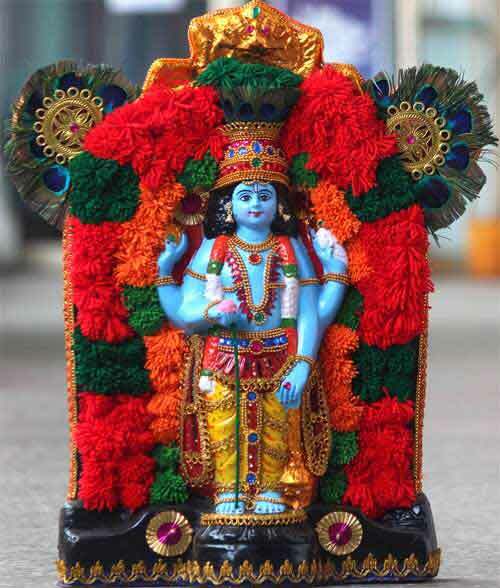 This Ekadasi is popularly known as Vaikunta Ekadashi and Mukkoti Ekadasi in South India - this will be observed on January 6, 2020.